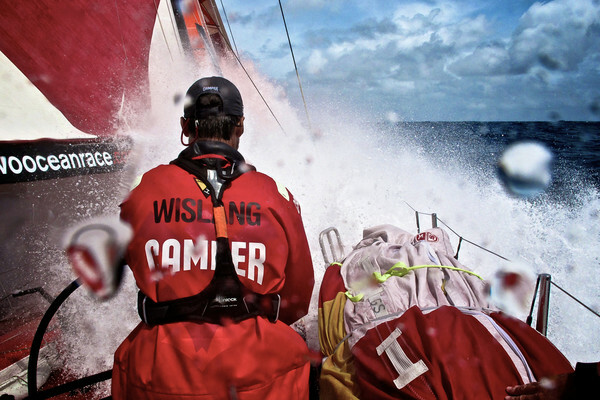 As the fleet racing in Leg 6 of the Volvo Ocean Race enter the final 1,300 nautical miles to the finish in Miami, the breeze is softening. The high boat speeds, which allowed PUMA Ocean Racing powered by BERG (Ken Read/USA), CAMPER with Emirates Team New Zealand (Chris Nicholson/AUS) and Telefónica (Iker Martínez/ESP) to achieve in excess of 500-mile days, will evaporate and be replaced by frustratingly slow conditions. 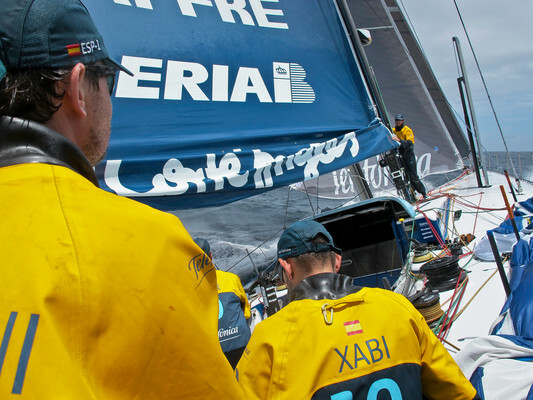 The fading breeze, which will stall the frontrunners, could give Groupama (Franck Cammas/FRA) and Abu Dhabi Ocean Racing (Ian Walker/GBR), in fourth and fifth places respectively, a ‘get out of jail free’ card as they stay with the pressure for longer and reduce the deficit accordingly. 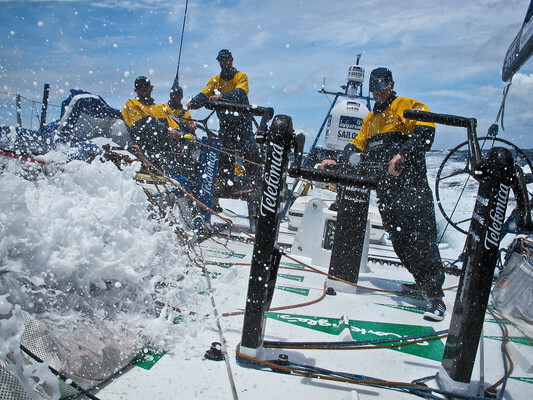 At 1900 GMT tonight, Groupama led Abu Dhabi Ocean Racing by 31 nm, but were off the lead by over 100 nm. 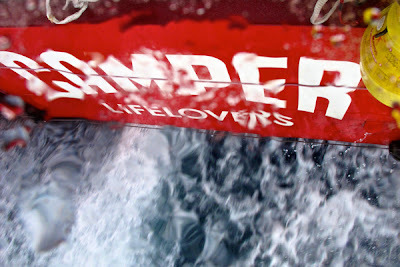 CAMPER, in second place, are just 5.1 nm behind long-term leaders PUMA, while third-placed Telefónica, who are looking for a fourth leg win to bolster their position as overall leaders, are now 16.9 in arrears, having been as close as 5.2 nm on May 1. 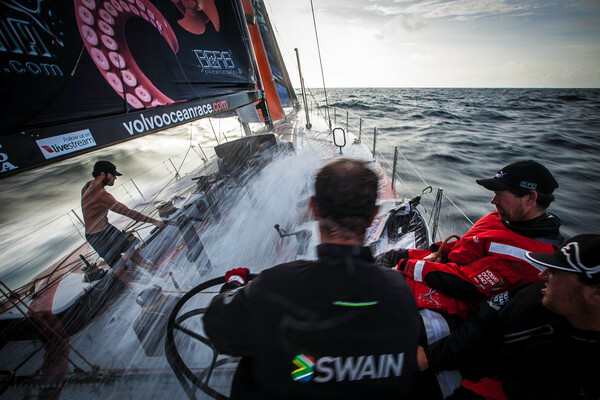 Already the breeze is becoming lighter for the leading trio, dropping to 13 knots, and rotating to the right. Once they get past the island of Barbuda, around 200 nm ahead, the weather will become seriously tricky. “We are expecting a little low, which will bring breeze, but before that it’s going to be pretty light and fickle,” explained CAMPER helmsman/trimmer Rob Salthouse. It is going to be an anxious 48 hours for the leading three as they negotiate the light airs and set up for the next lot of pressure that is forecast to follow. 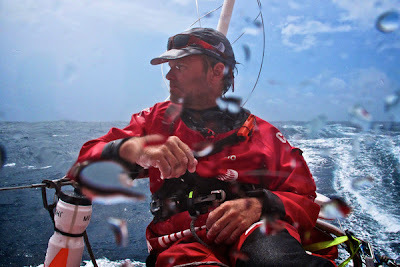 “We have got the boat for those conditions, but we will just have to see how it all pans out,” Salthouse said. Some routing has suggested an option could be to thread through the Caribbean Islands, but it’s a high-risk manoeuvre particularly for CAMPER and Telefónica who need to stay in touch with PUMA and not take fliers. “Over the last few days there have been times when we’ve gone faster, and times when they [PUMA] have, but we are here,” said Telefónica trimmer Pablo Arrarte. "They’ve got away a little bit, but the wind is beginning to drop and we hope that we can pick up again and recover the miles we’ve lost."